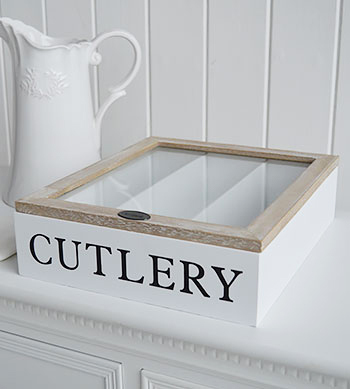 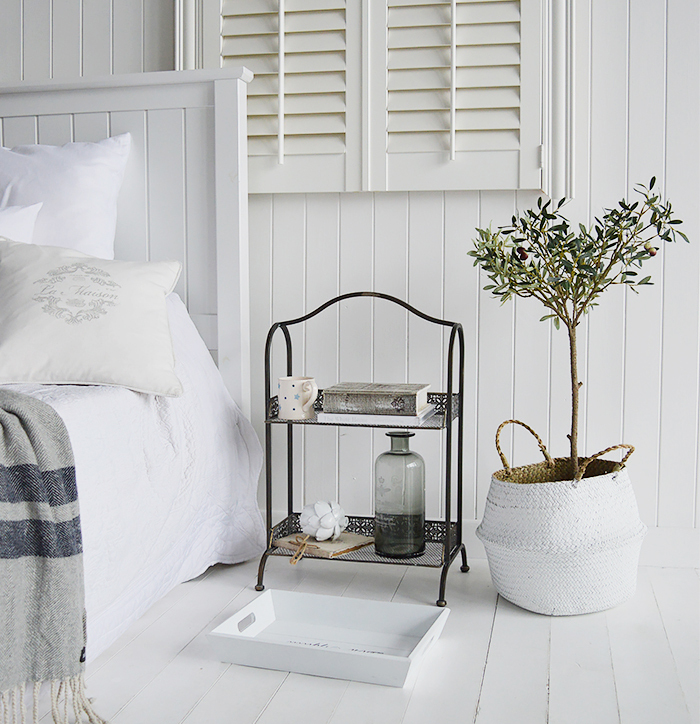 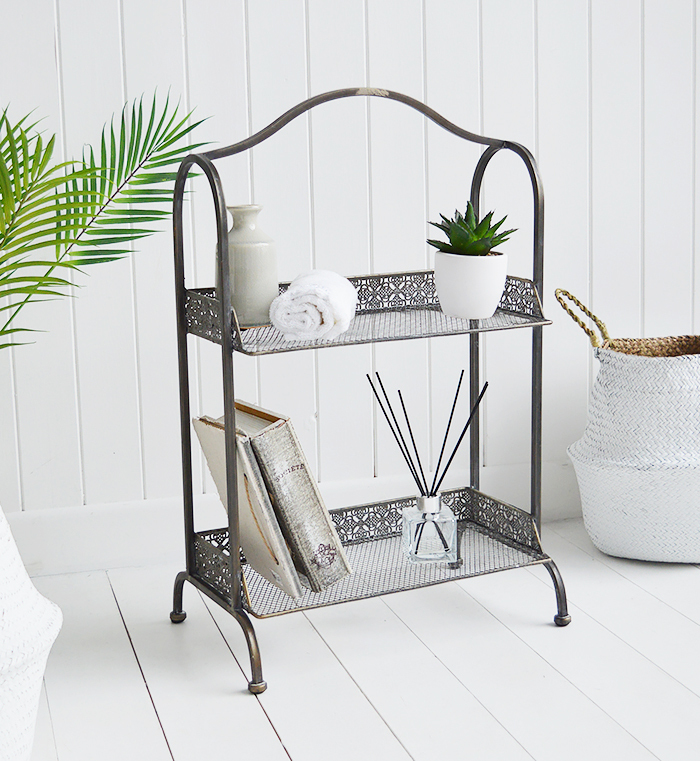 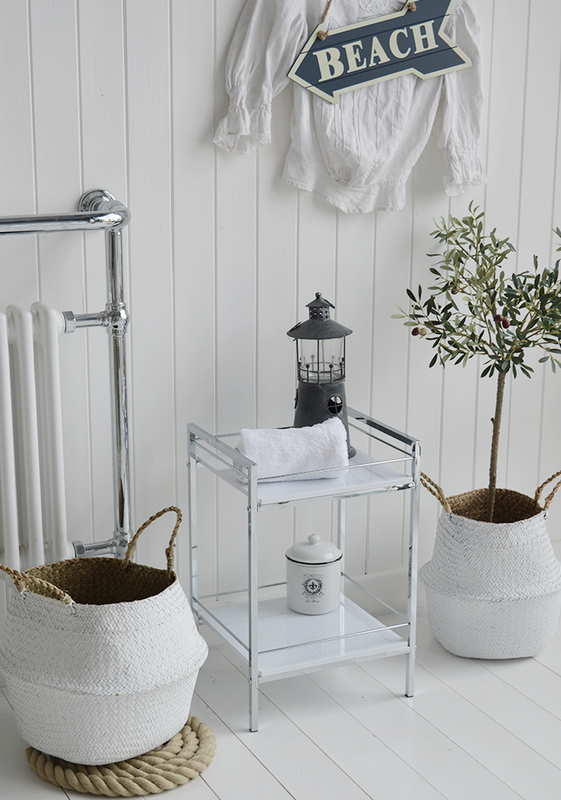 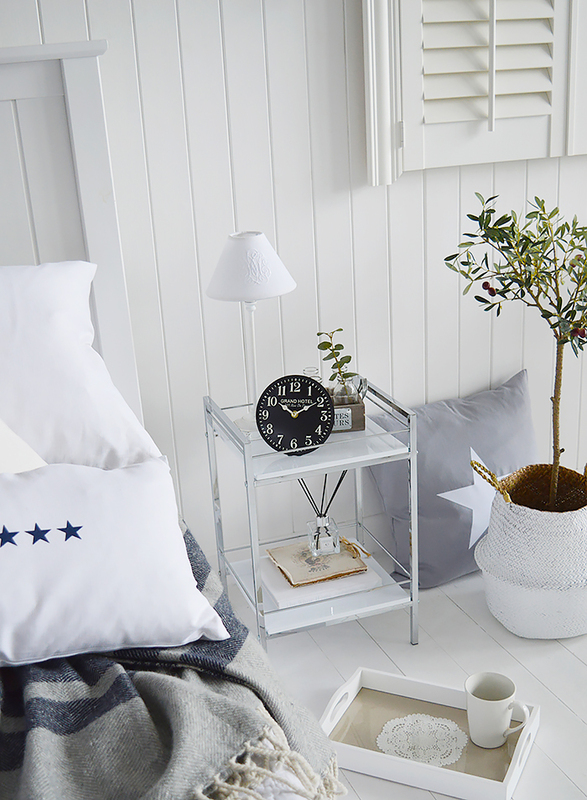 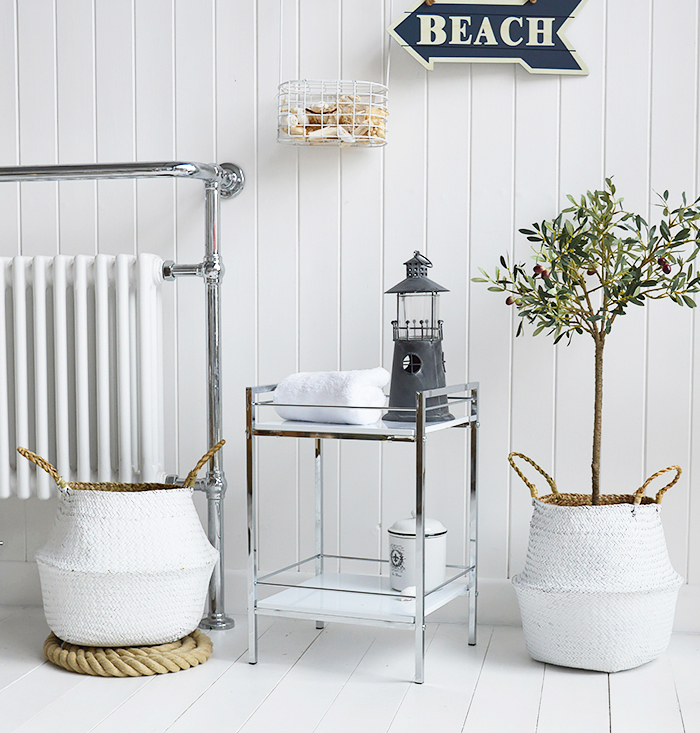 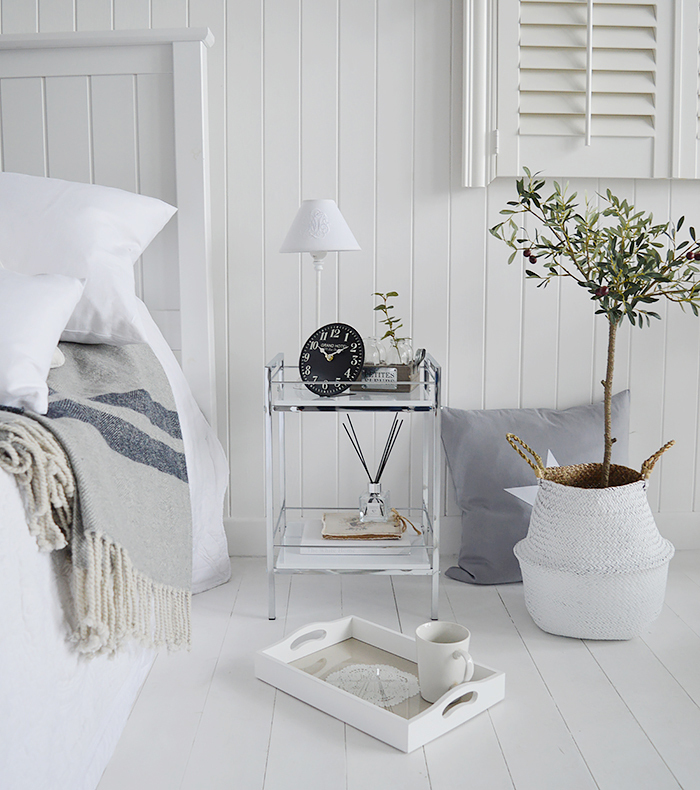 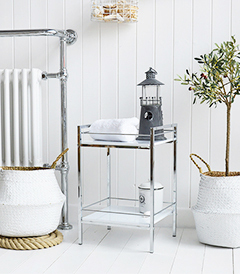 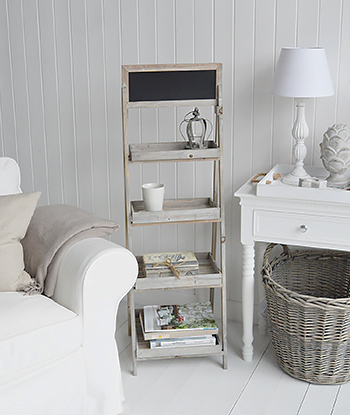 The Hastings white and silver freestanding shelf unit with two shelves. 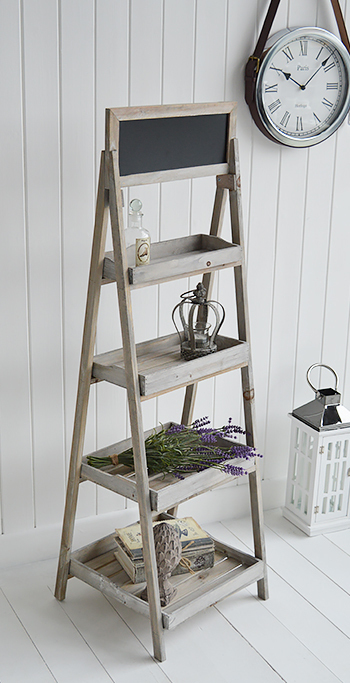 The Montauk wooden freestanding shelf unit with four slatted shelves and a top chalkboard. 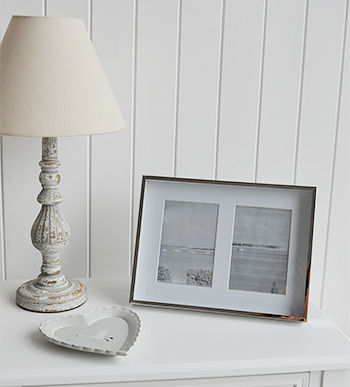 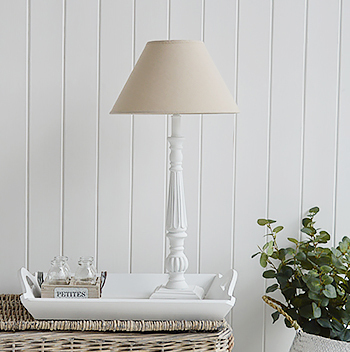 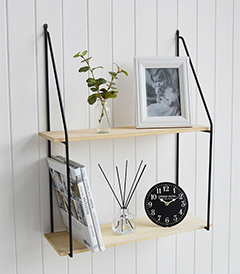 The Montauk shelf is finished in driftwood style and colour to resemble the washed up wood of the peaceful Montauk shores. 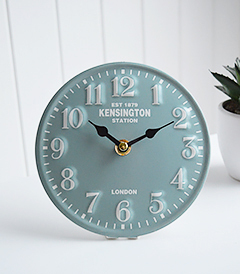 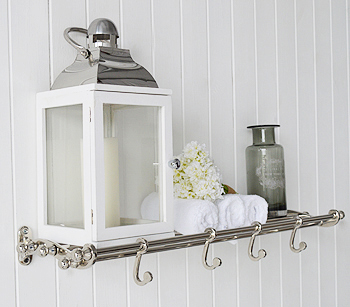 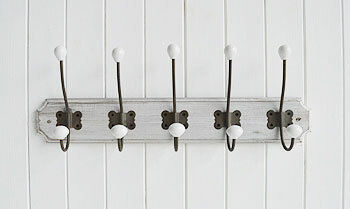 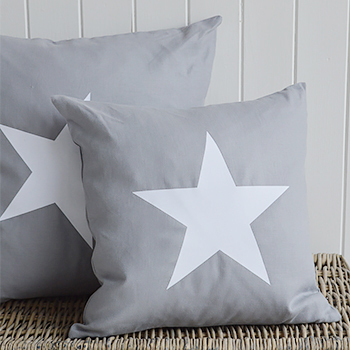 Parisian wall mounted coat hooks, with 3 metal hooks and porcelain ends on a grey wood back. 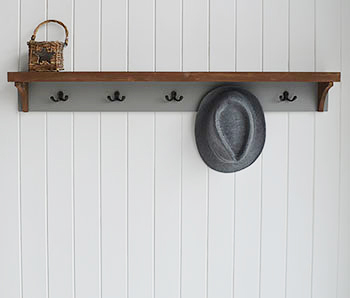 The Brunswick Grey coat rack and shelf with five double hooks. 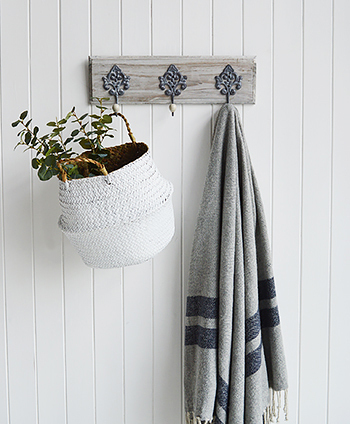 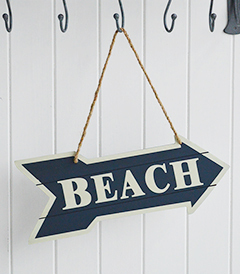 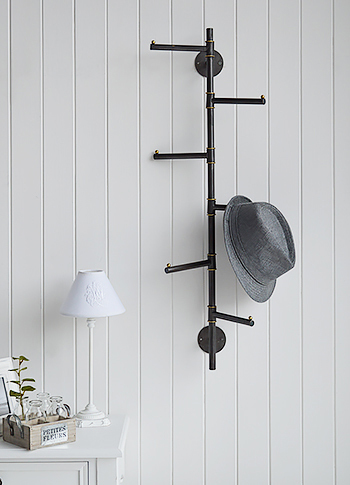 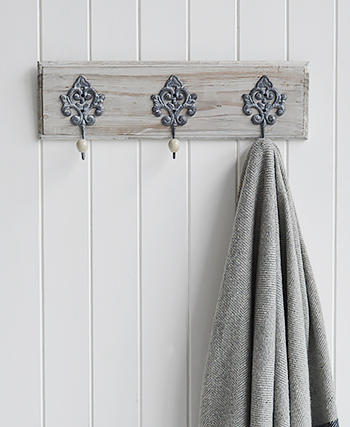 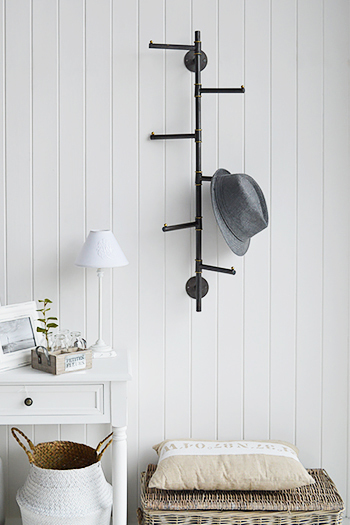 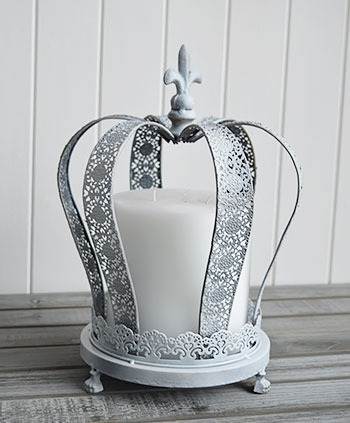 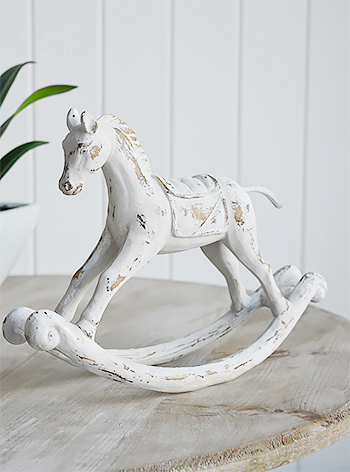 The coat rack is finished in a grey paint with wooden detailing. 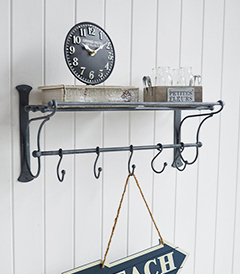 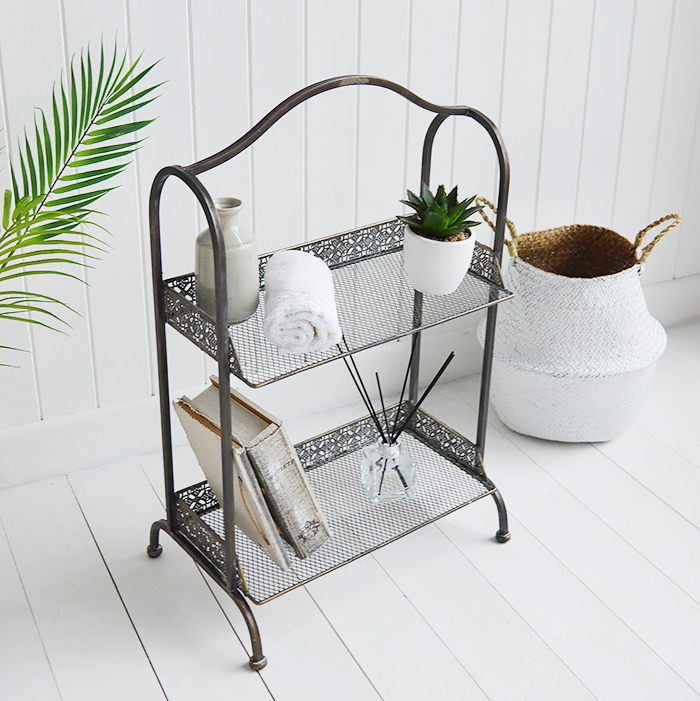 A vintage style very decorative freestanding metal shelf unit in an aged bronze colour. 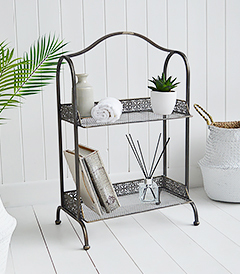 The ornate edging and mesh shelves give The Provence Shelf unit a unique beautiful look that will last for years to come. 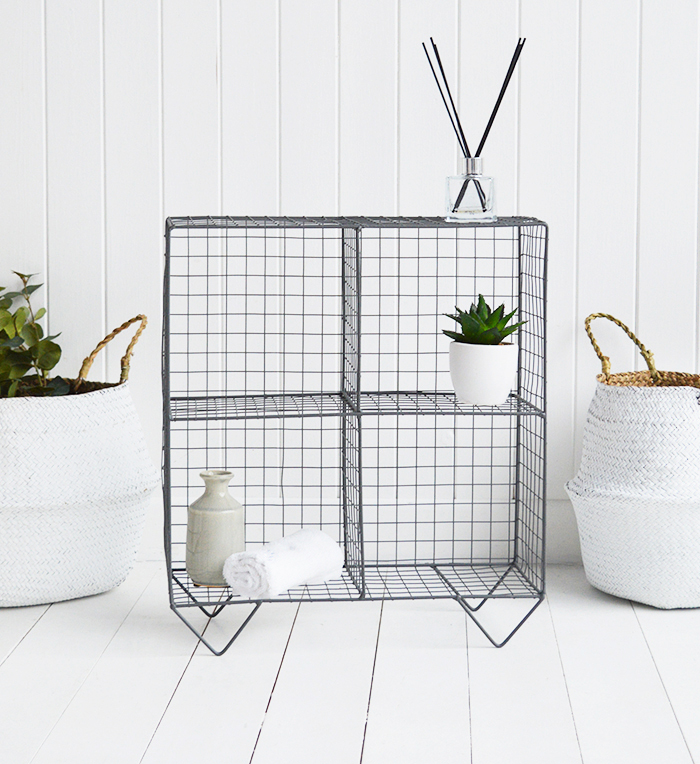 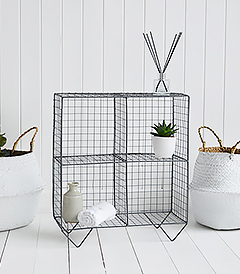 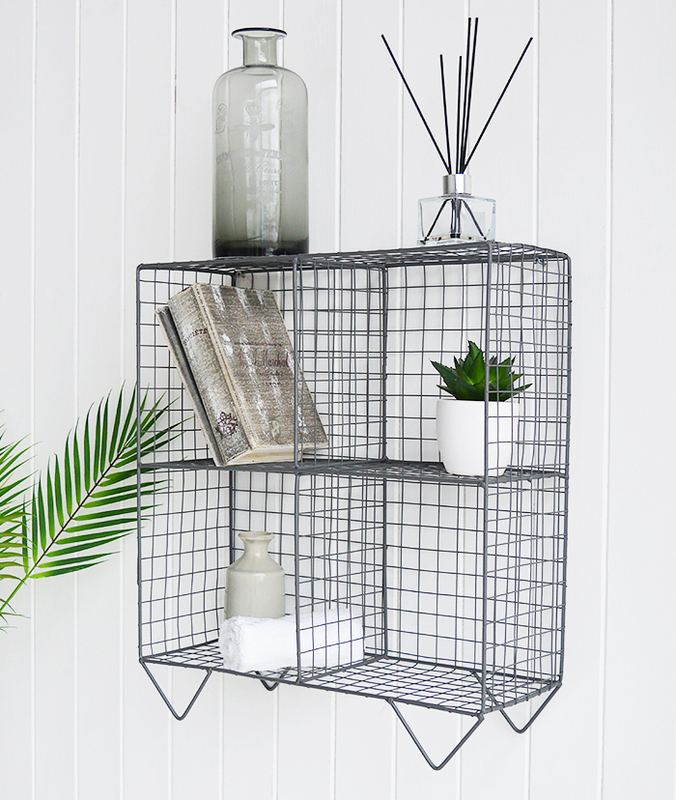 The Brooklyn dark grey wire shelf with four square cubby holes for storage and display. 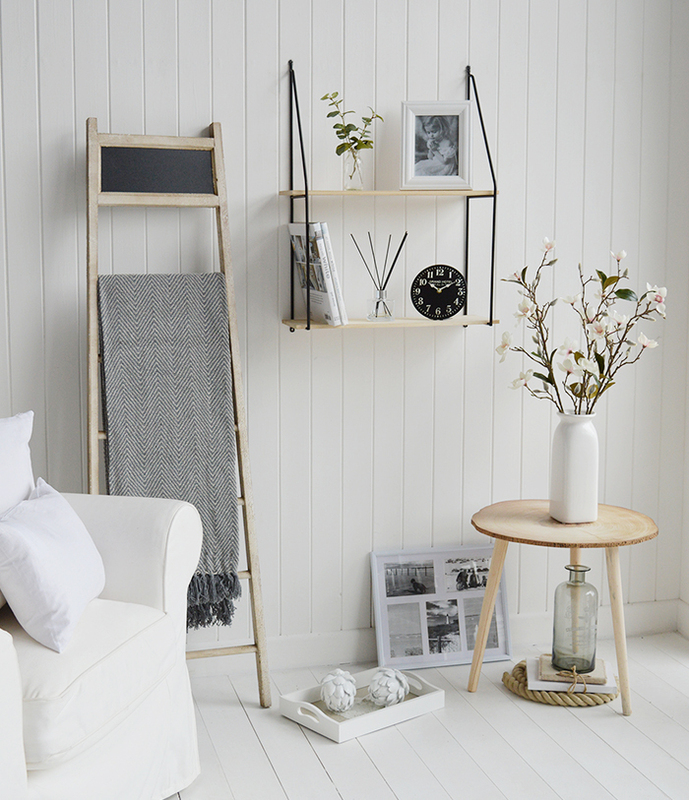 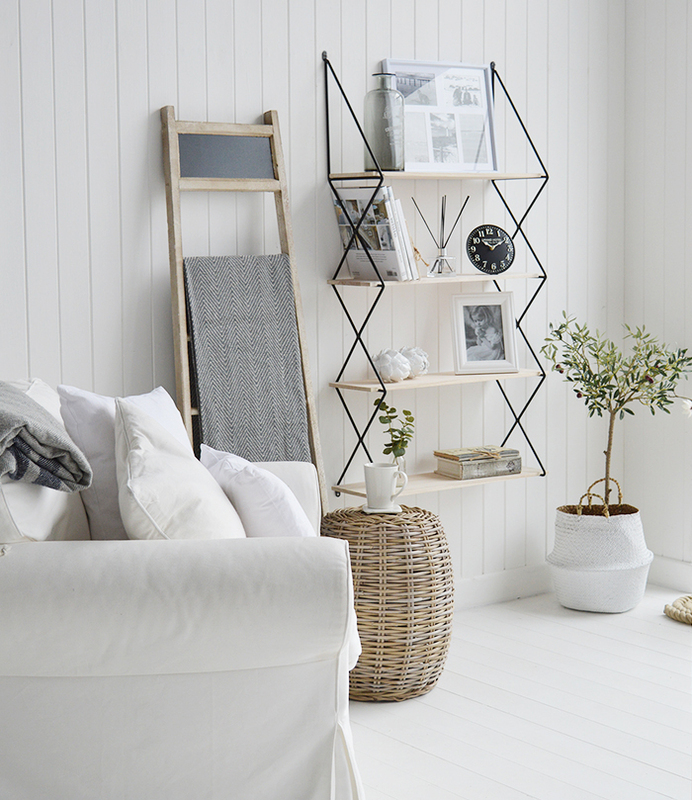 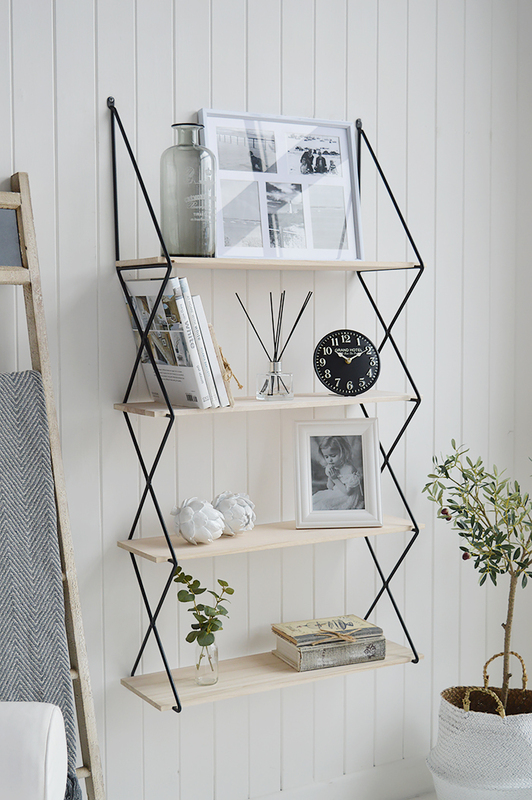 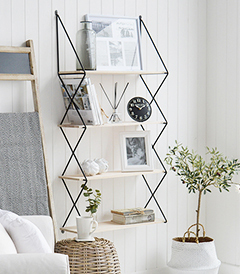 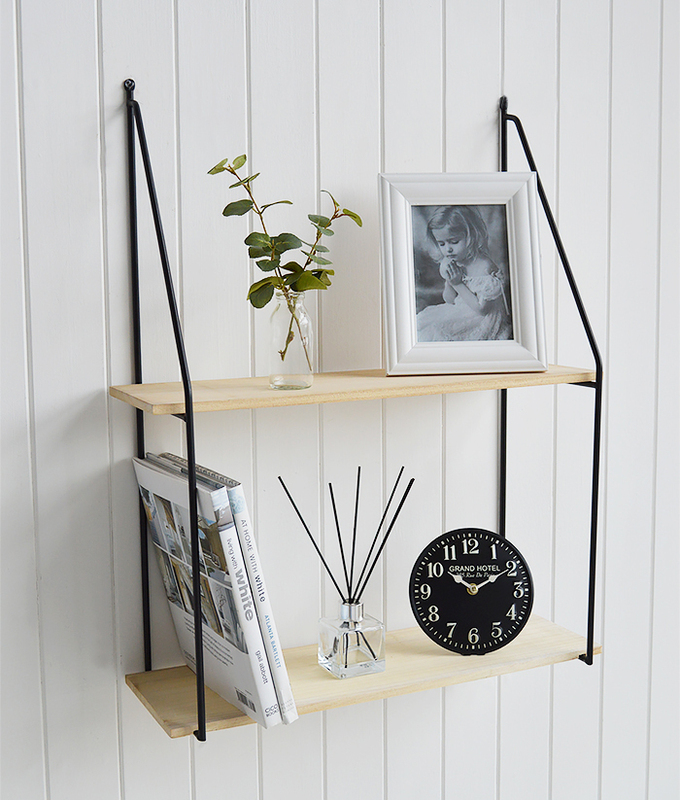 The Brooklyn Shelf can be freestanding as well as wall hung. 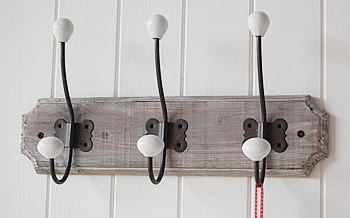 The Portsmouth vertical coat rack with six hooks for hats, coats, bags and scarves. 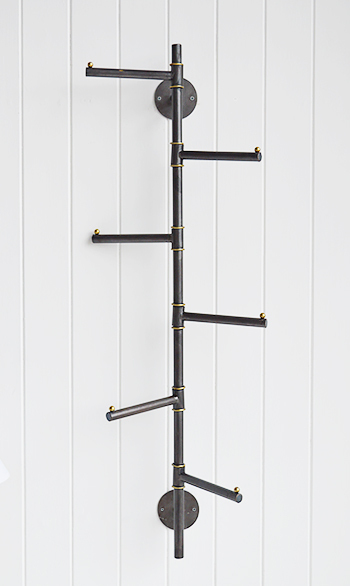 Finished in an aged brushed black metal with gold detailing. 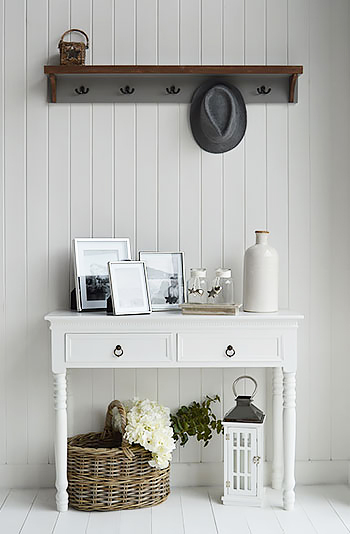 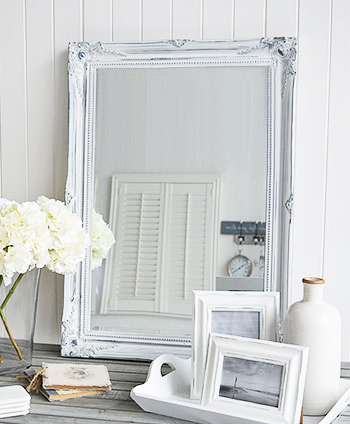 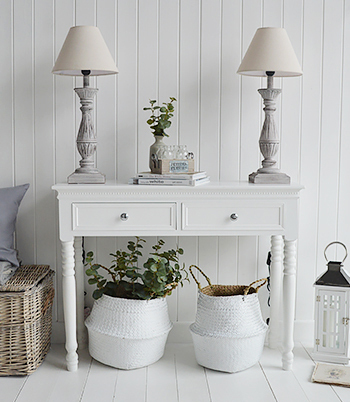 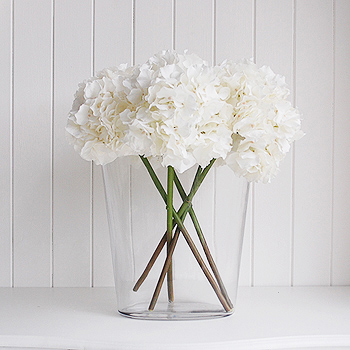 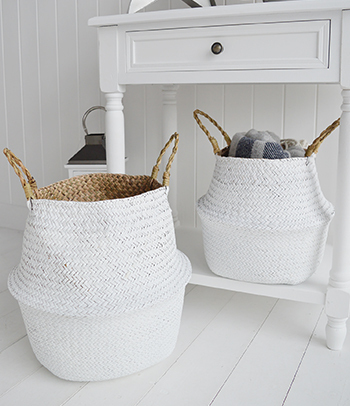 A great idea for hall storage when space is at a minimum. 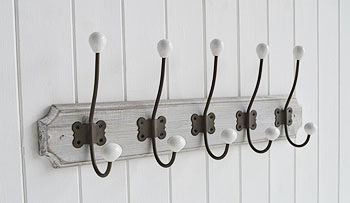 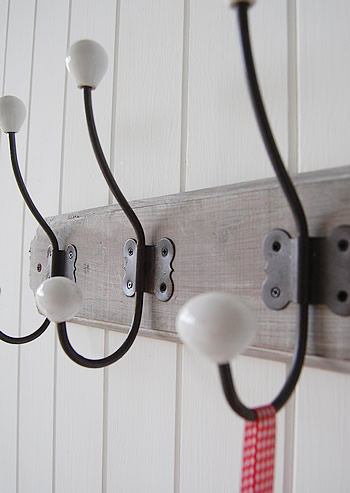 Wall mounted hooks on an aged effect, grey wooden back with ornate metal hooks and off white porcelain ends.